We act as your advocate. At Brass Tacks Recovery we know that by the time a family seeks help for someone with an addiction or compulsive behavior they may be frustrated, hopeless or scared, and are often times desperate for a solution. Because of the severity of many types of addictive behaviors, a family seeking help is likely to be emotionally vulnerable and may be financially compromised. In these situations we advocate for the client who is struggling, as well as their family and loved ones. In order to ensure a positive and nurturing experience, we have made a personal and professional commitment to stand firmly in our values and to work only with clinically appropriate and ethical organizations. We understand that not only the client’s care, but our reputation relies in part on those that we recommend and work with, and we take this very seriously. Brass Tacks Recovery is an organization that truly understands determining the trajectory from intervention, to treatment, to aftercare, can be one of the most challenging and difficult times for a client’s loved ones. Full recovery depends on successful transitions and treatment progression. 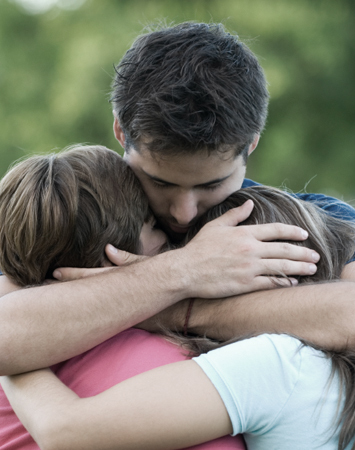 We are dedicated to helping every client and his or her family recover. As a result of our experience and research, we have found that when family members are active and involved in their own healing process, the likelihood of long-term sobriety and recovery for the individual in treatment increases significantly. It is not uncommon for a family member or loved one who is operating without our support to continue to try to solve, rescue and/or fix the individuals’ day-to-day problems. These problems are often caused by ongoing abuse of chemical substances. For example, a family member may help pay for rent, a car, groceries, legal fees, etc. What those helping may not realize is that while providing this sort of help can feel positive, in truth it can be detrimental to the recovery process because it allows for continued drinking and using of substances. Family members and other loved ones may not recognize that their responses to alcoholism or addiction can be complicated by family chaos, stress, or dysfunction. For this reason, Brass Tacks Recovery uses a multifaceted intervention and coaching approach, which takes into consideration the many varied needs of each individual in the family in relation to the needs of the family as a whole. Guided by the clinical team, coupled with our knowledge and experience, we empathetically educate and coach family members and other loved ones involved in the addiction recovery process. We also help each person to understand where codependent behaviors (masked as worry, concern, control, financial and emotional support) can continue to enable or fuel active addiction, and provide guidance related to these behaviors. Many people caught in a “revolving door” sobriety cycle, due to multiple relapses post treatment, have significant and unrelenting underlying issues. Those issues may include emotional or medical problems that existed before or in tandem with the addiction’s progression. These types of issues may involve unresolved grief, loss, or trauma (a word derived from a Greek root meaning “wound.”) We believe that unless the underlying issues are properly addressed, there will only be short periods of sobriety followed by the inevitable relapse. Brass Tacks Recovery provides qualified professional resources that can better assess and support the healing process for all those involved. We help the family and other loved ones identify the appropriate course of action and take the necessary steps to achieve a full recovery for all involved. By acting as a liaison and guide throughout the recovery process we can help free our clients and their families from the alcoholism, addiction, and the associated trauma.